Professor Christine Beveridge's interest is in the control of plant development. Our research is funded by the Australian Research Council (ARC) and Horticulture Australia Limited (HAL). It focuses on understanding the role of plant hormones in the regulation and coordination of plant development. We are particularly interested shoot architecture because it is a variable trait that is important in crop production and horticulture. Recently, we discovered strigolactone as the novel plant hormone that has been long been elusive but known to be involved in shoot branching. Strigolactone is important for nutrient uptake, is involved in attracting extemely harmful parasitic weeds and is involved in several developmental processes such as adventitious rooting (e.g., rooting from cuttings), secondary growth (wood production) and root development. 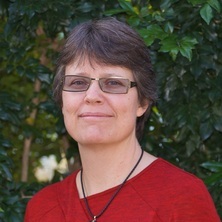 Christine is a Fellow of the Australian Academy of Science, a Highy Cited Researcher (http://highlycited.com/) and President of the International Plant Growth Substances Association. Journal Article: Models of long-distance transport: How is carrier-dependent auxin transport regulated in the stem? The production of roots from stems is a fascinating fundamental question about how plants maintain stems cells and can initiate new organs in unexpected places. But, for the commercial industries, the difficulty of producing roots from cuttings is a major impediment to productivity. It impacts forestry, conservation and horticultural industries. We have identified a new hormone pathway that affects rooting from stems (adventitious rooting). This project will involve identification of genes involved in this process and will reveal insights into how these genes are regulated. Annual plants that represent the bulk of food crops as well as most other plants, undergo a controlled senescence process that involves programmed cell death and the redistribution of nutrients. This is usually enhanced under nutrient stress. We have identified a new hormone pathway that affects this process and which can be used to make leaves last a lot longer before they senesce and die. We are interested in the fundamental mechanism enabling these leaves to remain green and healthy even under nutrient deprivation. The outcome of research in this area may be particularly relevant in Australia where most plants are grown on nutrient poor soils. Over the last century there has been a real focus on the role of hormones in controlling plant development. Also, we have a strong understanding of how resources control growth, but have largely ignored how they affect development. In our case study of apical dominance in plants, we have shown that hormones affected by shoot tip removal cannot be responsible for inducing shoot branching when the braches form at a considerable distance from the shoot tip. Instead, plant resources are important. We ask the fundamental question of whether the default system in plants is nutrient controlled growth stimulation and whether the hormones evolved to prevent this from spiralling out of control. We will explore how the supply of plant resources to axillary buds is regulated by various nutrient affecting conditions and in various hormone mutants and assays. We will also explore the potential molecular targets of this nutrient signalling. Corrigendum: Models of long-distance transport: how is carrier-dependent auxin transport regulated in the stem? Krisantini, S., Johnston, M. E., Beveridge, C.A., Ross, John and Williams, R.R. (2009) Rooting, quantification of indole-3-acetic acid and indole-3-butyric acid, and IBA transport in Grevillea. Propagation of Ornamental Plants, 9 2: 90-96. Xylem-borne cytokinins: still in search of a role? Rameau, C., Bellec, Y., Grillot, P., Parmenter, K. S., Beveridge, C. A. and Turnbull, C. G. (2002) Mutations at several loci suppress vegetative axillary meristem initiation in pea. Pisum Genetics, 34 15-19. Hanan, J., Beveridge, C. A. and Nichols, K. C. (2007). Computational models for inquiry learning in biology. In: Proceedings of the CSIRO Transformational Biology Workshop. CSIRO Transformational Biology Workshop, Black Mountain, Australia, (5-6). 18-20 June, 2007. Braun, N., Karine, D., Pillot, J. P., Delbarre, A., Beveridge, C. and Rameau, C. (2007). Suppressors of the pea branching ramosus mutants. In: IPGSA, Mexico, (). July, 2007. Krisantini, S., Johnston, M. E., Williams, R. R., Beveridge. C. and Ross, J. (2006). Endogenous levels of indole-3acetic acid and indloe-3butyric acid and rooting of Grevillea sp., an Austalian native species. In: Margaret Johnston, Australian Native Flower Conference. Seventh Australian Native Flower Conference, The Bardon Centre, Mt Coot-tha, Brisban, Qld, (40-45). 25-28th May 2005. Filardo, F. and Beveridge, C. (2006). The role of PsMAX1 in the RMS branching network in pea. In: 3rd International Conference on Legume Genomics and Genetic, Brisbane, QLD, Australia, (). 9 - 13 April 2006. Morris, S., Ross, T., Cox, M., Renton, M., Hanan, J. and Beveridge, C. A. (2004). Auxin comes too little too late. In: 18th International Conference on Plant Growth Substances. IPGSA, Canberra, Australia, (102-102). September 2004. Simons, J., Templeton, K., Plummer, K., Beveridge, C. A. and Snowden, K. C. (2004). Characterisation of the genetic and hormonal controls of plants branching. In: 18th International Conference on Plant Growth Substances. IPGSA, Canberra, Australia, (105-105). September 2004. Beveridge, C. A., Foo, E. and Rameau, C. (2004). Genetic and hormonal control of bud outgrowth. In: 5th European conference on Grain Legumes. Legmes for the benefit of Agriculture, Nutrition and the Envi., Dijon, (137-138). June, 2004. Parmenter, K. S., Rameau, C., Turnbull, C. G., Murfet, I. C. and Beveridge, C. A. (2004). Regulation of shoot meristem identity prior to flowering. In: 18th International Conference on Plant Growth Substances. IPGSA, Canberra, Australia, (102-102). September 2004. Rameau, C. and Beveridge, C. A. (2004). The control of branching in pea: A triple signals crosstalk. In: Conference Jacques Monod. National Centre of Scientific Research, Roscoff (Brittany), France, (). 15-19 May, 2004. Krisantini, S., Johnson, P.L., Williams, and Beveridge, C. A. (2004). Uptake and transport of indole-3-butyric acid in cuttings of Grevillea and Australian native species. In: 18th International Conference on Plant Growth Substances. IPGSA, Canberra, Australia, (102-102). September 2004. Beveridge, C. A. (2003). Development of axillary shoot meristems, both vegetative and repoructive. In: The Inaugural Retreat for the ARC Centre of Excellence For Integrative Legume Research. The Inaugural Retreat for the ARC Centre of Excellence for Inh, Moreton Bay Research Station, North Stradbroke Island, (34). 27th February to 2nd March, 2003. Krisantini, Santi, Johnston, Margaret, Williams, Richard R. and Beveridge, Christine (2003). Propagation of Grevillea. In: Proceedings of the International Propagators Society. Australian Region IPPS 31st Annual Meeting, Coffs Harbour, Australia, (154-158). 30th May to 1st June, 2003. Foo, E., Beveridge, C. A. and Rameau, C. (2002). Molecular characterisation of shoot branching control in pea. In: ComBio 2002 Combined Conference Abstracts. ComBio 2002 Conference, Sydney Convention Centre, (Sym-29-03-Sym-29-03). 29/9/02-3/10/02. Parmenter, K. S., Rameau, C., Murfet, I. C., Turnbull, C. G. and Beveridge, C. A. (2002). The control of phase transition in the vegetative Apical meristem of garden pea. In: ComBio 2002 Combined Conference Abstracts. ComBio 2002 Conference, Sydney Convention Centre, (POS-MON-069-POS-MON-069). 29/9/02-3/10/02. Beveridge, C. A., Foo, E., Morris, S., Williams, J. S., Yorston, E. M., Hanan, J. S. and Rameau, C. (2002). Thinking laterally about long-distance signaling. In: ComBio 2002 Combined Conference Abstracts. ComBio 2002 Conference, Sydney Convention Centre, (PLE-TUE-07-PLE-TUE-07). 29 September-3 October, 2002. Penrose, A.B., Beveridge, C. A., Doley, D. and Dodd, I. (2001). Effects of ABA deficiency in the wilty pea (Pisum sativum L.). In: Combined Conference Abstracts Com-Bio. ComBio 2001, Annual ASPP and ASBMB Conference, Canberra, (). 1-4 October 2001. Beveridge, C. A., Hanan, J. S. and Burrage, K. (2001). Integrative plant physiology: Dealing with plant development as the outcome of an integrated, coordinated and dynamic regulatory network. In: Molecular Genetics of Model Legumes Conference Proceedings. Molecular Genetics of Model Legumes - Impact for Legume Biolo, Golm, Germany, (68-68). 15th - 19th of September, 2001. Beveridge, C. A., Rameau, C., Foo, E., Haurogne, K., Morris, S. and Bullier, E. (2001). Molecular physiology of branching in pea. In: Combined Conference Abstracts ComBio. Com-Bio, Canberra, (45-03). 1-4 October 2001. Beveridge, C. A., Rameau, C., Foo, E., Haurogne, K., Morris, S., Bullier, E., Goussot, M., Foucher, F., Turnbull, C. G. N. and Murfet, I. C. (2001). Molecular physiology of branching in pea-focus on RMSI, a gene controlling a novel branching signal. In: Combined Conference Abstracts ComBio. International Proteomics Conference (IPC 2001) - 2nd Pacific Rim Conference on Proteomics, Canberra, (Pos-2-104). 1-4 October 2001. Beveridge, C. A., Morris, S., Foo, E., Murfet, I., Turnbull, C. G. and Rameau, C. (2001). Mutational analysis of branching in pea. In: Combined conference abstracts ComBio. ComBio 2001, Annual ASPP and ASBMB Conference, Canberra, (299-299). 1st - 4th October, 2001. Beveridge, C. A., Morris, S., Foo, E., Murfet, I. and Turnbull, C. G. (2001). Mutational analysis of branching in pea. In: 17th International Conference on Plant Growth Substances Abstracts. 17th International Conference on Plant Growth Substances, Mendel University of Agriculture and Forestry , Brno, (156-156). July 1-6,2001. Beveridge, C. A., Morris, S. E., Foo, E., Murfet, I., Turnbull, C. G. and Rameau, C. (2001). Mutational and molecular analysis of branching in pea. In: Proceedings of Molecular Genetics of Model Legumes: Impact for Legume Biology. Molecular Genetics of Model Legumes: Impact for Legume Biology, Golm, Germany, (). 15-19 September. Crew, K. S., Foo, E., Morris, S., Turnbull, C. G., Rameau, C. and Beveridge, C. A. (2001). Shoot regulation of xylem sap Cytokinin levels in pea. In: Dr V. Reinohl, 17th International Conference on Plant Growth Substances - Abstracts. 17th International Conference on Plant Growth Substances, Mendel Universtiy of Agriculture and Forestry , Brno, (301-301). 1-6 July, 2001. Beveridge, C. A., Foo, E., Morris, S., Murfet, I. C. and Turnbull, C. G. (2000). A mutational analysis of branching in pea identifies roles for novel long-distance signals. In: Combined Conference Abstracts: 44th Annual ASBMB, 40th Annual ASPP, Annual NZSBMB, 22nd Annual NZSPP. Com Bio 2000, Wellington, NZ, (). 11-14 Dec, 2000. Beveridge, C. A., Morris, S., Foo, E., Symonds, G. M. and Turnbull, C. G. (2000). Evidence for indirect auxin action in the supression of axillary bud outgrowth. In: Combined Conference Abstracts: 44th Annual ASBMB, 40th Annual ASPP, Annual NZSBMB, 22nd Annual NZSPP. Com Bio 2000, Wellington, NZ, (). 11-14 Dec, 2000. Morris, S., Turnbull, C. G., Murfet, I. C. and Beveridge, C. A. (2000). RMS5 and RMS1 interact to control a novel graft-transmissible signal(s) involved in the regulation of branching in pea (Pisum sativum L.). In: Combined Conference Abstracts. 44th annual ASBMB, 40th annual ASPP, Annual NZSBMB, 22nd Annual NZSPP. ComBio 2000, Wellington, N.Z., (). 11-14 December 2000. Asokanthan, P., Critchley, C., Turnbull, C. G. and Beveridge, C. A. (1999). Adding a Fifth Gene to the Ramosus branching model. In: 'ComBio 99' - Combined Conference. Australian Society for Biochemistry and Molecular Biology, Australian and New Zealand Society for Cell & Developmental Biology and Australian Society of Plant Physiologists. 'ComBio 99' - Combined Conference. Australian Soc for Bio, Conrad Jupiters, Gold Coast, (). 27-30 Sept, 99. Ngo, C. N., Beveridge, C. A., Dodd, I. and Turnbull, C. G. (1999). Cytokinins may also be synthesised in shoot: evidence from the branching mutant rms4. In: 'ComBio 99' - Combined Conference Australian Society for Biochemistry and Molecular Biology, Australian and New Zealand Society for Cell & Developmental Biology and Australian Society of Plant Physiologists. 'ComBio' - Combined Conference. Australian Soc for Biochem, Conrad Jupiters, Gold Coast, (). 27-30 Sept, 99. Beveridge, C. A., Morris, S. E. and Turnbull, C. G. N. (1999). Long distance signalling in ramosus mutants of pea. In: J. Catsky and J. Pospisilova, Biologia Plantarum. Abstracts of: International Symposium Auxins and Cytokinins in Plant Development. ACPD 1999: International Symposium Auxins and Cytokinins in Plant Development, Prague, Czech Republic, (S69-S69). 26-30 July 1999. Beveridge, C. A. (1999). Mutational analysis of branching in pea. In: ComBio 99 - Combined Conference. Australian Society for Biochemistry and Molecular Biology, Australian and New Zealand Society for Cell & Development Biology and Australian Society of Plant Physiologists. Combio 99, Conrads Jupiters, Gold Coast, (). 27-30 September, 99. Beveridge, C. A. (1999). Photoperiod response, auxin and the regulation of pea architecture. In: Biologia Plantarum. International Symposiums on auxins and cytokinins in plant development, Prague, (S73-S73). 26-30 Jul 1999. Eddy, R. L., Beveridge, C. A. and Turnbull, C. G. (1999). Using the auxin responsive gene, GH3, to study the role of auxin in branching control. In: 'ComBio 99' - Combined Conference, Australian Society for Biochemistry and Molecular Biology, Australian and New Zealand Society for Cell & Developmental Biology and Australian Society of Plant Physiologists. 'ComBio 99' - Combined Conference. Aust'n Soc for Biochem, Conrad Jupiters, Gold Coast, (). 27-30 Sept, 99. Proceedings of the 4th International Workshop on Functional-Structural Plant Models (2004) . Edited by Christophe Godin, Jim Hanan, Winfried Kurth, Andre Lacointe, Akio Takenaka, Przemyslaw Prusinkiewicz, Ted DeJong, Christine Beveridge and Bruno Andrieu. 4th International Workshop on Functional-Structural Plant Models, 7-11 June, 2004, Montpellier, France. (2004) Australian Flora Foundation Inc. Deep sequencing is the modern approach to identify global changes in gene expression that trigger developmental events. Using an in-house MiSeq instrument we can identify the RNA sequences that change in relative abundance in different treatments or genotypes. One such project underway involves identifying strigolactone responsive genes involved in shoot branching. This project will contribute to that study by following the expression of identified genes via real-time RT-PCR and testing hypotheses regarding their expression using molecular physiology approaches. We have available a large range of developmental mutants and have lots of ideas of projects. We would very much enjoy hearing from you about your particular interests in for example, learning a new technique or working on a particular scientific area. In such cases we usually have a few meetings to toss ideas about before settling on a project that fits your current skills and future aspirations.